Discussion of web analytics companies and techniques. People have been complaining as of late that all the innovative companies are getting snapped up by the big internet players which ends up killing innovation. I’m not sure whether or not that argument has any truth to it, but one thing that can be said that’s good when innovative companies get acquired, is that sometimes their services become free. Feedburner’s TotalStats package is now free after they were acquired by Google. Over the past year or so the frustration with web statistics tracking services along the lines of Alexa and Comscore has grown. As companies look for validation, VCs look to measure potential investments, and bloggers find interesting things to talk about, accurate stat services are something everyone wants. The Google Analytics Blog has announced the first major upgrade to Google Analytics since they initially launched it after acquiring Urchin. Matt has announced that WordPress has released a stats plugin for self-hosted WordPress uses that integrates your blog analytics into your dashboard. I’m a huge fan of integration of analytics and making it easier for publishers to do as much as possible in one place. Since everyone who uses WordPress has to login to the dashboard to post, it’s going to be easy to check your stats quickly as well. I can save time to not have to go login an analytics application to get some quick blog stats, which means I have more time to create real value. Web analytics vendor Clicky announced on their blog today that they have integrated Feedburner RSS stats for your site into the Clicky interface. One of the most interesting sessions to me at Web 2.0 Expo was fellow analytics blogger Avinash Kaushik’s session called “Click the Big Red Button : Tips & Techniques for Optimizing Conversion and A/B Testing”. I was looking forward to it because even though I’ve been big into testing for years, I still feel like the majority of the web world is so far away from embracing testing to improve web results. ClickTale is a service that has been in private beta for a while, and they now have a blog post explaining their Heatmaps service. CrazyEgg is a well-known player in this field, but ClickTale focuses more on the attention users give and where they scroll opposed to CrazyEgg which focuses more on clicks. 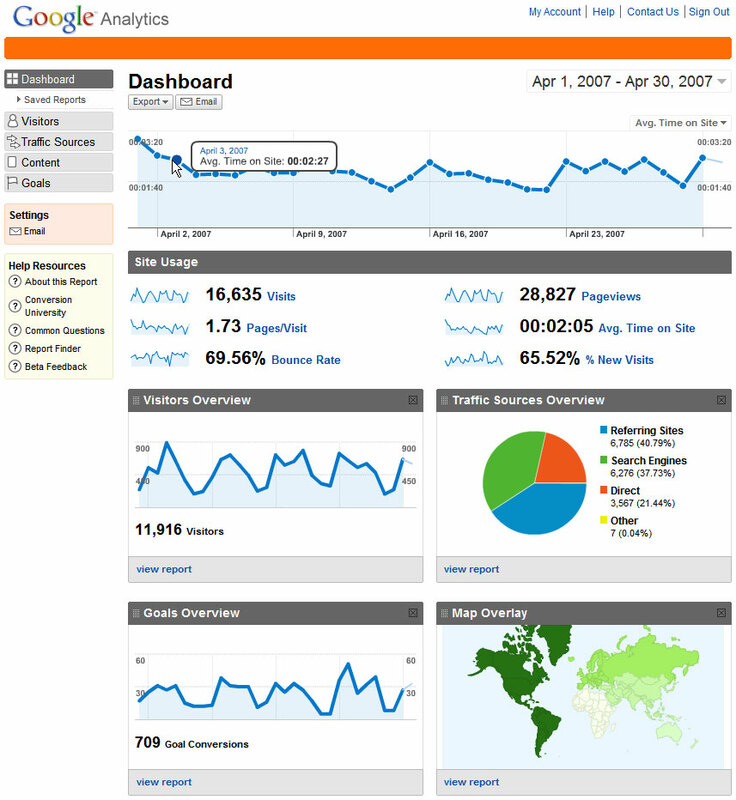 One of my most successful posts in 2006 was the Complete Guide to Web Analytics Solutions I put together in February. Now that over a year has passed, I realized that quite a few things have changed in the web analytics space. We’ve had acquisitions, new companies, and other random changes. Without further adieu, here is the 2007 Edition of the Complete Guide To Web Analytics Solutions. There are numerous free solutions out there, and they range from very useful to “you paid for what you got”. As you might expect, the free solutions lack a lot of the power of the paid ones, and they usually don’t offer much support. If you don’t have any money to spend on analytics or you’re new to it and want to get some experience before paying for a solution, then going with a free package is a great way to go. Analog – One of the oldest web analytic packages available. Analog is free, and runs off of your log files. It can require quite a bit of customization, and is pretty cut and dry for what it offers. I used Analog for years, but find it just is too old school and a pain to work with to really be a great option these days. Clicktracks Appetizer – A newer edition to the Clicktracks suite of products, Appetizer is a limited but free “appetizer” of the full-featured Clicktracks products. It gives a great taste of the different workflow and visual way of looking at statistics that Clicktracks has pioneered. Clicky – An application I hadn’t heard of until contacted by the founder who coincidently went to my high school, Clicky bills themselves as “Web Analytics 2.0”. While I’m not so sure it’s a huge revolution in analytics, it’s definitely a clean Web 2.0 interface, RSS reports, and a “Spy” feature that works just like Digg Spy except you’re watching your site visitors in real-time. You can also choose to make your site statistics public if you’re open about these things. They’ve also integrated the Google Maps API so you can view your visitors on a Google Map. Google Analytics – After a rough start, Google Analytics has solidified into the most full-featured free web analytics solution. As long as you’re comfortable with Google holding your data, the amount of statistics they provide in a free hosted service is amazing when you look back at the industry before they made their move to free. Before Google made the move to free, the free solutions were all packages you download yourself and host your code and data. They all also lacked ecommerce statistics which Google provides, and not to mention the handy tie-in Google Analytics can do with Google Adwords for Adwords advertisers. MapSurface – I did a full review of MapSurface in September of 2006, and my thoughts remain the same. It doesn’t have a ton of stats, but it’s really handy to be looking at a page on your site and just hit Alt-X to popup the floating window and see the primary basic stats for that page, without having to login and remember a password. The stats update pretty quickly making it a really fast way to check in on recent blog posts to see if they are getting any links or traction. phpMyVisits – Available in 29 languages, this is a free and easy to use open source web analytics application. Open source has it’s advantages in that you can change and hack the code as you please, but sometimes open source projects also don’t innovate as fast as they could or provide the necessary support. But for free, it’s a good deal. StatCounter – A free solution that’s strength is that it works in real-time and shows details on the last 100 page loads. It is limited though in it’s lifetime data beyond the last 100 page loads, although for some low fees depending on traffic you can buy more lifetime detail. The free version is also monetized by StatCounter with Google Adsense ads around the interface. It is easier to use than options like Google Analytics and has a good set of stats though. SiteMeter – A popular solution for bloggers and small websites, Sitemeter has a free version that just requires you put their colorful logo at the bottom of your site. If you leave your data open, others can click to see your stats. This has some cool social aspects to it, and for those selling advertising it can be helpful. Overall, the application seems pretty old at this point, and doesn’t provide a wealth of data in the free version. However, it is a simpler solution than Google Analytics, and you don’t have to mess with logfiles. Webalizer – Similar to AWStats and Analog, Webalizer is a logfile analysis solution that is free. It has some customizable charts and provides all the basics, but like the others I don’t feel that it really measures up to the ease of use of Google Analytics or Sitemeter. The rise of blogs has lead to many application developers in all industries to start making blog-specific applications. Analytics is no exception and in the last year we’ve seen a few solid entries in the blog analytics space. Blogs tend to be simpler than some regular websites, and they don’t usually need ecommerce statistics. These applications focus on blogs, so if you’ve got a standard blog, you may want to look here. Feedburner/Blogbeat – Back in mid-July Feedburner announced the acquisition of Blogbeat. They quickly integrated Blogbeat’s analytics into Feedburner’s Analyze interface for their feeds so they now provide a good set of basic web analytics stats as well. The stats are simple, but big and easy to read and provide enough for the majority of bloggers. It’s a pretty killer combination because if you’re using Feedburner to manage your RSS feeds, it’s handy to have web analytics in the same interface. Mint – Perhaps the first analytics application aimed at blogs, Mint is a one man show run by Shaun Inman. Don’t let the low employee count fool you, Mint is a nice application. It has a cost of $30 per site, but that’s not too spendy if you care about your stats. The interface is very AJAXy and cool, and you host the data on your own instead of giving it over to a third party like with most analytics applications. It also has an API so developers can build on it, very cool. One problem though, is you need to be able to host it on a server running Apache, PHP, and mySQL. A great application though from a one-man army. MeasureMap – MeasureMap was once the darling of the blog analytics space with lots of buzz throughout their private beta/alpha period. Before they even launched they were acquired by Google. MeasureMap was originally developed by a four-person team from information architecture/visual design powerhouse Adaptive Path. It’s definitely pretty and smooth, and it’s very blog-focused with post stats, referrals, links out, and comment stats. What’s odd is that MeasureMap has still not ever opened to the public, and I’m not aware of any integration that’s taken place with any other Google tool or service. What does the future hold for it? I don’t know. 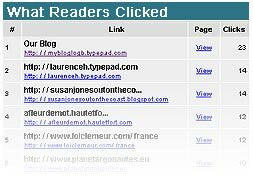 MyBlogLog – Snapped up by Yahoo in January, MyBlogLog is more than just web analytics as it’s a hybrid social blog network widget that also has web analytics built in. For free you get some basic stats that should satisfy your average blogger, but for $3 a month you can get slightly more detailed statistics over a longer period of time. It’s convenient to have the analytics right there with their other services in one interface, but they aren’t really full-featured enough for an analytics junkie. If you’ve got a serious small business web site, but don’t want to go the free route with something like Google Analytics, you might consider one of these low cost solutions. They are on par or better than Google Analytics, and your data is safe from Google, and because you pay you get support and near real time data. Hitbox Professional – The lighter version of analytics application HBX (profiled below), Hitbox is an affordable solution at around $26.95 a month depending on volume, and it gets you most of the basic to intermediate stats a user would want, from an analytics leader in public company WebsideStory. Hitslink – A stats app that’s been around a while from Net Applications. Hitslink is a solid mix of a typical web analytics application with simplicity and some more advanced stats like ecommerce and setting conversion goals. It’s not flashy, but it gets the job done at an economical price. A 30-day trial is available and installation was very easy for me. I keep find myself going back to Hitslink and actually paying for it when ecommerce is a need. IndexTools Web Analytics 9.0 – An enterprise-level product that’s a bit cheaper in pricing, IndexTools has a strong set of features in a clean interface. It’s especially strong for ecommerce with merchandising reports, CPC cost analysis, and custom segmentation of users. It comes in a cheaper E-business edition as well as a more full-featured Enterprise edition. There is a free trial and then a set monthly fee with the option to purchase additional page views in bulk. Nedstat Pro – Based in Europe and thus available in many languages, Nedstat Pro is aimed at the small business market and simplifies everything into seven easy reports. It has a four week free trial and moderate pricing. OpenTracker – A fair priced application that focuses on realtime statistics of live visitor profiles and clickstreams. It has a four week free trial, and looks easy to implement. One notable fact is that it’s available in 15 languages. VisiStat – Another moderately-priced tool aimed at small to medium-sized businesses, VisiStat has a nice interface and some cool features like click-fraud analysis and their live streaming reports that update in real time as you watch. You can also pick a user and track them throughout their site visit. Visitorville – This is one of the most unique analytics solutions available. It’s best described as web analytics meets the Sims. It has a 3D and 2D world where your analytics are mapped to an interface like you’re in a Sims-like video game. For very visual people this is a really fun way to check out your stats, and it has some great realtime features where when a visitor arrives to your site they arrive to the building (page) in a bus (the referrer). So, you see someone arrive to a building via a Google bus if it’s a Google search referral. It also has ecommerce stats and page overlay features, making it a pretty darn complete application. The price is cheap, so if you think you’d be into a very visual view of your stats, give it a shot. If you’ve got a serious web business, you need serious data. When you’re making hundreds of thousands of dollars a month from your web presence you’re losing money by NOT using one of these applications to know exactly how your users are behaving on your site. These applications can really be used to test and improve your site, but you’ll have to pay for their superior features and support. Clicktracks – The originator of the “page overlay” analytics technique, Clicktracks has always had a different user interface and style delivering analytics data to it’s user. For some people their interface style is a huge favorite, for others such as myself I just couldn’t get into it that much. I can see how some would love it, but perhaps my years of standard analytics interfaces lead me to want something else. I do like how they offer both a hosted ASP solution and a software solution if you want to keep the data on your own server(s). Pricing is spendier then the low-cost solutions, but it’s also cheaper than the most of the other big gun analytics providers. E-commerce data is a big part of the mix if you want it to be, so I think Clicktracks fits well as a user-friendly small business ecommerce solution. Coremetrics – A long time player who I’ve never had the chance to use. I demo’d it years ago, so I can’t really say much as I’m sure they’ve iterated quite a bit since then. They have a lot of big clients, and their feature list looks very powerful. Pricing isn’t cheap, and is usually negotiable but comes from a baseline of usage. Deepmetrix – Purchased by Microsoft in 2006, it’s believed that Deepmetrix has been rolled into the upcoming Microsoft analytics product codenamed Gatineau. 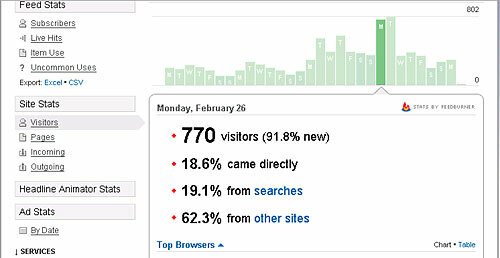 According to “>this post from Microsoft’s Ian Thomas, Gatineau will be aimed at a similar audience as Google Analytics. Fireclick – Another full-powered application I haven’t had the chance to use. Like Coremetrics they have an impressive client list and have a nice looking feature set. The Fireclick Index is a report that features a dozen key performance indicators to track your key metrics all from one report. They also feature an Excel plugin and a site overlay tool to see your data while viewing your site. Pricing is not listed and most likely negotiable. HBX – A superpower web analytics application from public company WebsideStory. One of the leaders in all kinds of types of analytics reporting. HBX was one of the first to implement setting up custom funnels to track conversion on goals, they’ve had a site overlay for a long time, have a great plugin with Excel called ReportBuilder, introduced user segmentation early on, integration with PPC advertising, and have been using AJAX and other “web 2.0” technologies before the term even existed. They have an impressive client list, and I’ve also had the pleasure of attending their user forum where they did a great job educating and also talking to their customers to get help on where to take their product. Pricing isn’t cheap, and is negotiable. Instadia – A Danish company that was one of the leaders in Europe, Instadia was acquired by Omniture in early 2007 to bolster Omniture’s business in Europe. Intellitracker Enterprise – A UK enterprise product, but I couldn’t find much about them because the website is mostly text with nothing about features, a trial, a demo, or screenshots. Omniture – A web analytics company based out of Utah that’s been on fire over the past couple of years signing big clients like eBay and AOL. I haven’t used Omniture, but have heard very good things about their SiteCatalyst solution for it’s power in user segmentation and ecommerce statistics. They also have a Data Warehousing feature that allows real time reporting combined with the flexibility of having good access to old data. Pricing isn’t cheap, and once again is negotiated with a salesperson. Sitestat – Made by Netstat and based in Europe and thus available in many languages, Sitestat is aimed at larger businesses and focuses on three main areas. Those areas are Campaign, Content, and Conversion. Unica’s Affinium NetInsight – The big brother of their NetTracker, they pitch it as a solution for tracking marketing programs across multiple marketing channels. The strength appears to be their focus on flexibility and their drag and drop interface. Visual Sciences – A web analytics company that’s been in “stealth” mode for a long time, they’ve long been talked about as having a disruptive technology compared to their competitors. They were just purchased by WebSideStory which should make for a very interesting application in the future as they make HBX and Visual Sciences merge or work together somehow. Webtrends – The granddaddy of serious web applications, Webtrends has been around forever and been sold a few times along the way. Their now on their 8th version of their application, and they boast a big client list. Some new features include a conversion view from five points, bookmarking and sharing of analytics, a unique first-party cookie solution, and more. Unlike some of the other power applications, they do offer a free trial, but pricing isn’t cheap. Most of the web applications aren’t tracking RSS feeds (yet). A couple of quality RSS companies that provide a number of services also provide RSS analytics. Feedburner – Feedburner reports on a few basic feed stats for free like your total feed circulation, and for just a few dollars a month you can update to the Pro stats package to get more stats like what RSS items were viewed, how much, and what ones got clicks to your site. You can also see what feed readers people are using. Pheedo – Pheedo’s stats are more aimed at RSS advertising, but you can get stats on your feed circulation and how much revenue you’re generating from your ads. There’s so much to be gained from analytics. Start out by trying a few of these applications that fit your site and see what you can learn. You might be surprised. If you know of an application that should be listed and/or reviewed, let me know at pmccarthy AT gmail DOT com.